Expires 10/31/18. This offer cannot be combined with any other offers and can only be used once per household. Call today to schedule a visit. 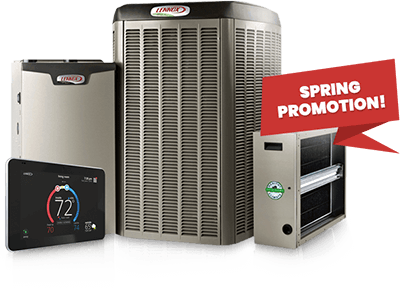 *PLUS: FREE Honeywell thermostat, 1 year's worth of FREE filters, FREE labor for 5 years, FREE tune-up package for 1 full year. On Qualifying Select Systems. This offer cannot be combined with any other offers and can only be used once per household. Call today to schedule a visit.